It’s not really a surprise to find teams and their scouts or managers from all over attending a tryout, but having teams from multiple leagues at the same event is a different story. Every independent league is different. The talent in each isn’t comparable. They are similar, but some are noticeably stronger than others. In any case, having a variety of eyes scouting players isn’t a bad thing. On the weekend of March 14, the Frontier Leagues’ Lake Erie Crushers, Schaumburg Boomers and Evansville Otters will have their eyes wide open for talent for the upcoming 2015 season. 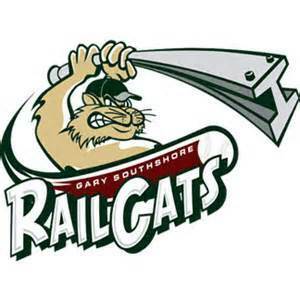 The American Association’s Gary SouthShore RailCats will also be there. According to oursportscentral.com, the tryouts will take place at Woody Hunt Stadium, home to the defending NAIA National Champions, Cumberland University. Last years title was Cumberland’s third all-time. Any players (free agents) over the age 18 are more than welcome to attend. Heck, if you don’t give yourself that chance, you may regret it for the rest of your life. In all, 24 players have been signed to professional contracts as a result of previous years camps including All-Stars Josh Allen; Ty Nelson, and Michael Schroeder. Please note, many more independent league camps will be coming up in the following months. We will try to keep you updated on any coming to your town.